People are having their holiday shopping season after the Thanksgiving Day. Commonly called as Black Friday, this moment is a chance to boost any product sale both offline and online. As online sale is currently worshipped by customers, e-commerce site should be prepared for this great opportunity. Here are some e-commerce Black Friday tips to increase your traffic site as well as the product sales. Attracting customers to visit your store in an e-commerce site and make them purchase the products in Black Friday is sometimes tricky. Maximizing your traffic and product sales need some ‘smart’ preparations. Here is a list of things suggested to be done and avoided in Black Friday for the sellers and the e-commerce team. • DO #1: Create Attracting Black Friday Theme. 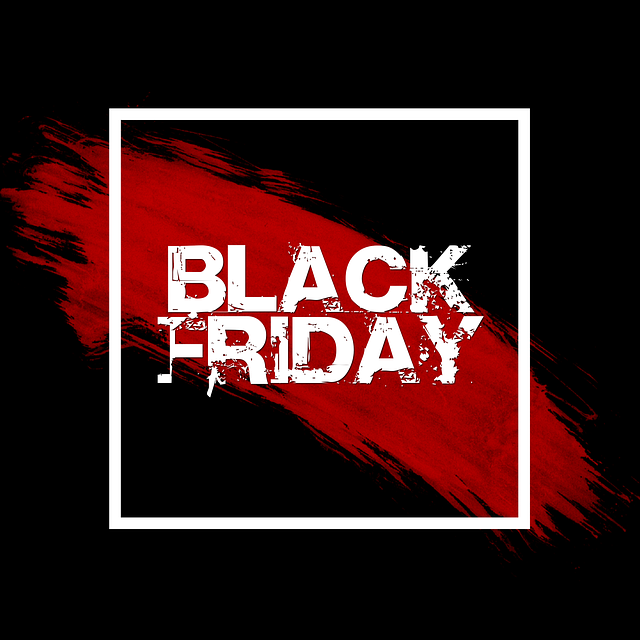 The first DO in e-commerce Black Friday tips is creating a special theme for Black Friday. Displaying the same theme as used in regular days may not magnetize the customers even though numerous discounts and coupons are available. However, providing a simple list which allows them to easily access the products is also essential. • DO #2: State the Offered Deals Clearly. The customers have a tendency to compare products from one site to another. They usually do a quick scanning of what the site offers on their page. If they find it hard to understand, they will move to another site. Therefore, a clear and simple statement about the offering deals is needed. It should include the details of discount, promotion codes, and other important offers. • DO #3: Offer Expedited or Free Shipping. When looking for their favorite products, some people tend to check whether the products have free shipping or not when comparing their favorite product in one e-commerce site to another. Expedited shipping is also a big attraction for them. Knowing that their products can arrive faster at their home will make them sure to purchase the products. The last DO from e-commerce Black Friday tips is teasing the customers earlier. It can make them more excited and prepared themselves for Black Friday. It is important to build their hype and it can increase the traffic site on D-day. Those are several tips to be applied in Black Friday. Besides the three important things as listed above, some unexpected moments should also be prepared well. Don’t let the customers turn down their hype by letting the following things happen. Here are some matters you need to avoid in Black Friday sale. • DON’T #1: Go Out of Stock. The first DON”T in e-commerce Black Friday tips is going out of stock. Preparing enough product stock is important. Usually, the hype for Black Friday sale starts some weeks before the D-day. The whole promotions can happen in a full month. However, the main sale day is still on that day. Don’t let your customers disappointed when their favorite products are not available on that special day. • DON’T #2: Miss a Clear Return Policy. A clear return policy will make the customers comfortable when buying their favorite product. It is also included on their checklist. Making customers comfortable can make them trust your site or shop, and of course, can increase the traffic and sale. Those are some recommended e-commerce Black Friday tips. Black Friday is one important moment for the shoppers, retailers, and sellers. It is claimed to be the biggest selling day and becomes the greatest spending day of the year. Prepare your store or site well, so you won’t lose this great chance of sale and turn down the hype.